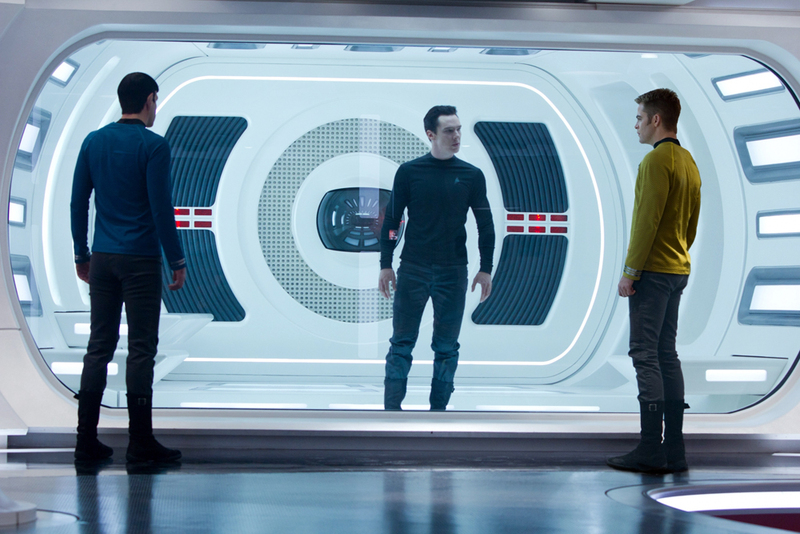 Benedict Cumberbatch is John Harrison in 'Star Trek Into Darkness'? We’ve finally got a name for Star Trek Into Darkness‘ elusive villain. Of course, it’s not his real identity, but… it’s a name. According to the caption on the first official photo released for the film, due to hit theaters next year, Benedict Cumberbatch is playing a character named John Harrison. This is undoubtedly not his true identity, but some name he’s using. The only thing we’ve known for sure, according to the filmmakers, is that the villain of the film is a canon character. The name John Harrison was apparently used in an episode, but he’s not a villain or significant character in any way. So while we have a “name,” we’re no closer to knowing just who the villain is in Star Trek Into Darkness. Alice Eve is Carol Marcus in ‘Star Trek Into Darkness’? However, according to reports, we may now know that the stunning beautiful Alice Eve is playing Dr. Carol Marcus, the woman who (at least in the original timeline) will bear the son of Capt. James T. Kirk. This comes via tweets by a few reporters who attended a press screening of the 9-minute preview to be shown in IMAX theaters ahead of The Hobbit. Alice Eve's STAR TREK INTO DARKNESS character revealed... She's playing Carol Marcus! The film will also be featuring several Klingons, and will also provide a look at their homeward, Quo’nos, according to Lesnick. There are 14 Klingon characters in the film, but only two have speaking roles and are the only ones to remove their helmets. The Klingon inclusion isn’t all that surprising. The filmmakers seemed to be really jazzed about them when doing the first film. And since they were cut out, seemed natural that they would bring them back for Into Darkness. So, if true, what does Eve playing Marcus mean in relation to Cumberbatch’s character? Nothing, really. Just because Marcus was in Star Trek II: The Wrath of Khan doesn’t mean they would have to be part and parcel in this one. And just because it’s long been suggested that the woman Kirk says Gary Mitchell introduced him to (and he nearly married) was Marcus, doesn’t mean Cumberbatch will be playing Mitchell. Despite all the excitement today, we’re not really anywhere closer to figuring out this one. And at this point, that’s just fine with me. We’ll know eventually, and I’m not really filled with a burning need to know (although it sure does appear the rest of the Internet is suffering from one).